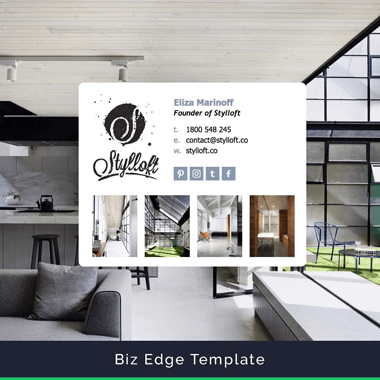 If you're a designer, marketer, agency or human wanting a simple way to create and manage professional HTML email signatures for your clients, then you are in the right place! If you know what we offer and can't wait to get started then go ahead and join our Affiliate Program or Reseller Program below. If you're still unsure about what Email Signature Rescue is and how you can benefit from our Affiliate Program or Reseller Program, then scroll down and read on! Ready to become a Reseller or Affiliate? Get started below! Refer your clients to us using your affiliate link, they create, edit and manage their email signatures and you earn a commission on their initial sign up. You would like to create, edit and manage your client's email signatures and charge your clients directly for the service. Who does the Affiliate Program & Reseller Program suit? Our Affiliate Program is the perfect solution for those who simply want to refer others to use Email Signature Rescue. You send someone a link, they sign up, you earn money. It's as simple as that! 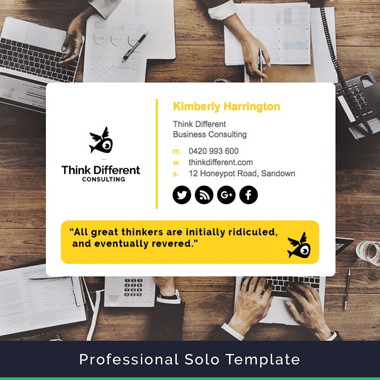 The Reseller Program is more hands on and is aimed at designers, marketers and agencies who want to create, edit and manage professional HTML email signatures for their clients. You have full control over the account, email signature designs and charging your client for the service. How does the Affiliate Program or Reseller Program benefit you? You can create, edit and manage email signatures from the one central reseller account. 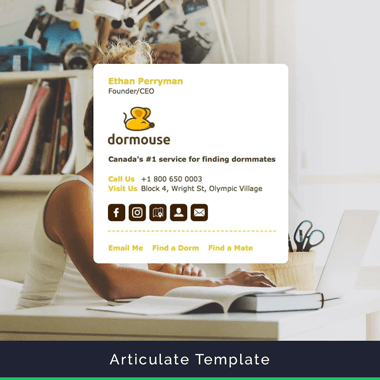 Access more than 20 email signature templates that have been handcrafted by professionals with over 15 years experience in HTML coding, specializing in HTML email signature design. 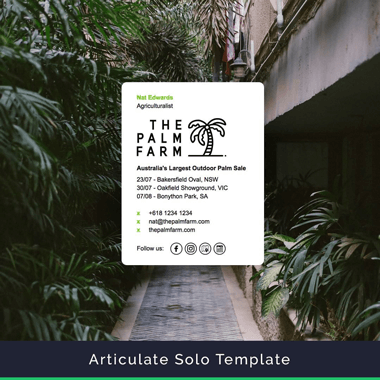 All email signature templates have been thoroughly tested to work across major email clients and apps, something that as a designer or developer, you have no doubt struggled with in the past. 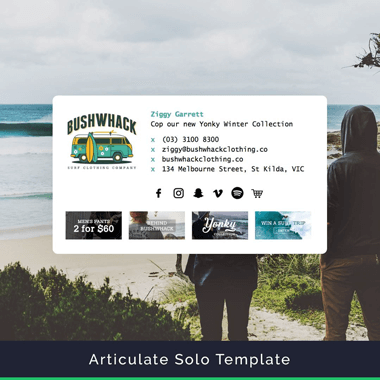 Our templates and features are constantly growing. 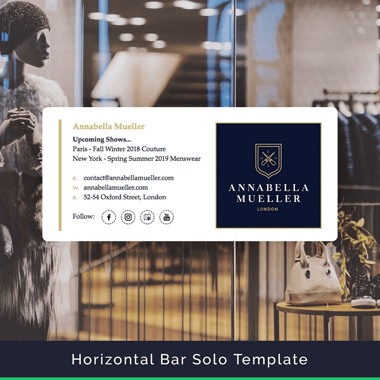 We regularly add new and exciting templates and features that make creating email signatures for your clients a breeze. Access over 300,000 social icons in various styles, shapes, sizes and colors to link to your client's main social networks. Add banner images to your email signature designs and track them with Google Analytics tracking. All images are hosted by us on an amazingly fast CDN with guaranteed uptime. And finally, what good is a great email signature if your clients don't know how to install them in their own email software? We offer white-label PDFs and video email signature installation guides too. How much does it cost to become a reseller or affiliate? Nothing! It's free to become a reseller, and you will even receive a unique reseller code which entitles you to 20% off any plan. Your code can be used as many times as you like for yourself and/or your clients. As an affiliate, you actually earn money for referring users to us, you just need an active plan to get started. Still not convinced? We offer a 7-day money back guarantee for all users. If you sign up and decide that our software and service just isn't for you, then don't stress, we'll happily cancel your account and issue a full refund. So I earn money as an affiliate? As an affiliate, you earn 40% commission on the initial sign up cost of any users you refer to Email Signature Rescue. All affiliate payments are made at the end of the month to your desired PayPal address. How much should I charge as a reseller? This is entirely up to you and depends on the service you're providing. Some of our resellers choose to include email signatures as part of a branding package, while others offer them as an individual service. 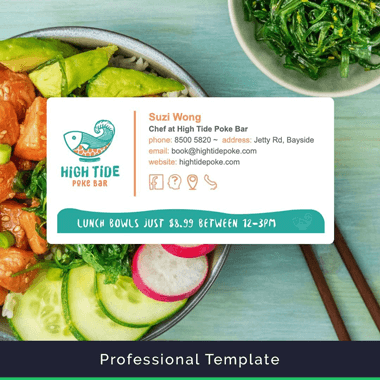 How you offer email signatures to your clients and what you charge them is completely up to you. What don’t I get as a reseller or affiliate? There’s no catch. 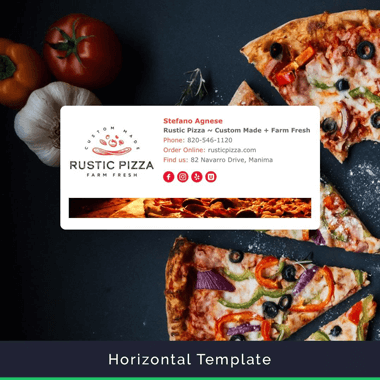 All features and templates are included in your reseller plan. As a reseller, you will also gain access to white-labelled installation guides and priority reseller support. Out of a whole plethora of services "promising" to offer a total solution, this by far goes all the way. The phrase under promise and over deliver describes perfectly these guys... I use a Mac and my colleague Windows 8, we use iOS across the board and it has the best performance of any so far. In fact as soon as i can i want to be able to resell the solution to my owns customers. You absolutely have to try it. Completely customisable and an elegant solution. From the Dashboard, you can create, edit, duplicate, download and delete your email signatures. 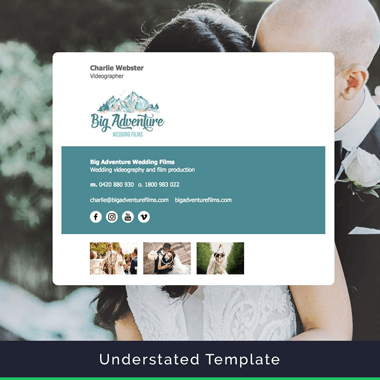 Our email signature software comes fully loaded with all 20 of the email signature template designs you see on our website. We design, test and add new templates throughout the year. 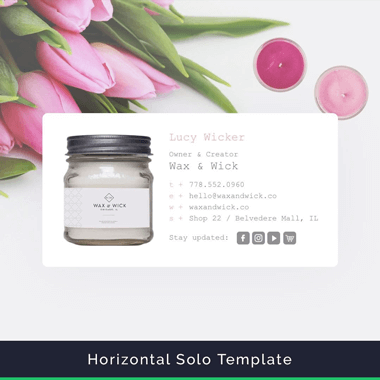 Login and change template designs as often as you like. 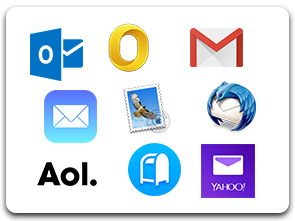 All templates have been tested to ensure maximum compatibility to our supported email clients. Customize your email signature until your heart's content. Add as many contact fields as you need, including telephone numbers, addresses, websites, email addresses and more. 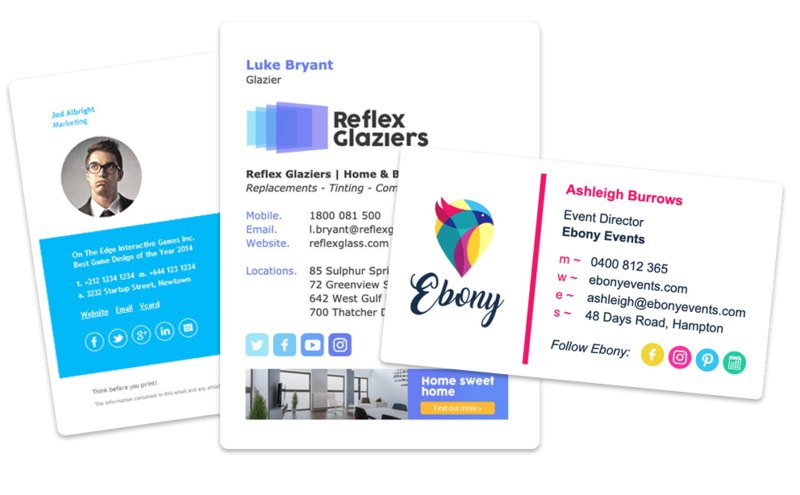 Choose feature colors and base colors, inline with your business branding. Customize fonts, font sizes, icon sizes, colors, margin widths and vertical spacing. 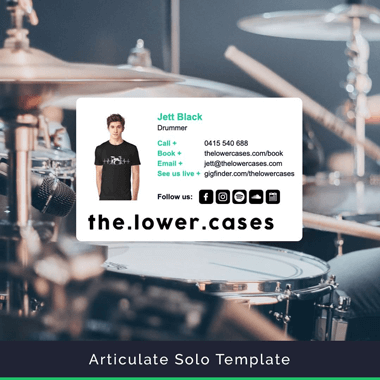 Email Signature Rescue generates vcards automatically. 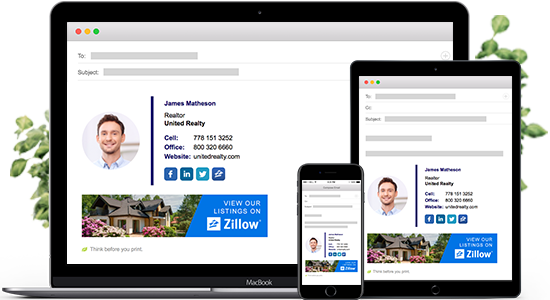 All you need to do is add a vcard icon to your email signature and our software will automatically generate vcards for you, based on the information you have entered in your email signature. Choose social media icons from our extensive icon library or upload your own. You can sort the social media icons in which ever order you would like them to appear on your email signature. Link to all your social media pages, like Facebook, LinkedIn, Twitter, Pinterest, Youtube and more. We have over 70 social media networks, in 30+ colors, 11 sizes and 4 different styles. It's easy to create all your staff's email signatures with Email Signature Rescue. Create your first email signature, design it exactly how you like it, then simply duplicate (or copy) that signature, change the name, and repeat. Track clicks to your website from your email signature and get reports straight to your own Google Analytics account. Just turn on Google Analytics in your settings and check the tickbox to add a campaign code to the end of your website links. Customize the labels with any text you like. If you want to change the t. before telephone, change it to "telephone" or "phone" or even "téléphone". Labels will automatically widen or shorten depending on the text you enter. Add images to your email signature easily. Link images to any website or email address. Simply upload, crop and resize your email signature images using our handy image uploader. You can even circle crop your images, just like our examples. All images are inserted correctly into the HTML code and hosted on our server with fast-serving CDN technology. 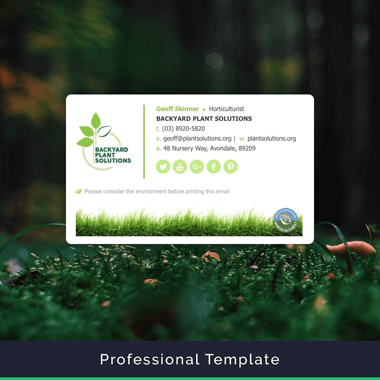 Add your own banners and promotional images to your email signatures. Turn banners on/off on every template. Choose from 8 different banner layouts/sizes in vertical and horizontal alignments. Upload once and use default banners across all email signatures. Change banner and promotional images regularly, without re-installing signatures. Track clicks from your banners to your website with Google Analytics. Animated gifs are a great way to convey moving animation in your email signature. Animated gifs can now be uploaded and added to your email signature easily. Simply check the "Bypass" option when uploading your image, and you can add your own custom animated gifs! 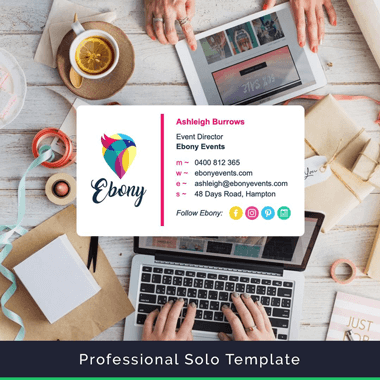 Create additional text links to brochures, calendars or anything else online that you need to link to in your email signature. When you have finished creating your email signatures, simply use "Email" or "Email All" to send signatures directly to your staff by email. Or use "Download All" to download all signature HTML files in one handy zip file, to keep on your computer hard drive, or send to a client.